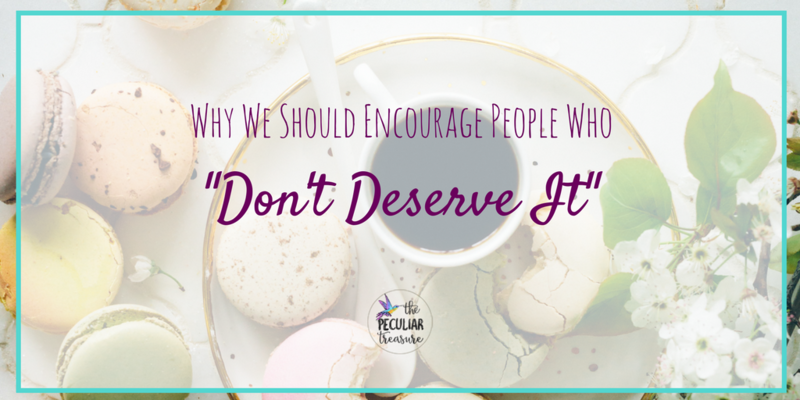 The Peculiar Treasure: Why We Should Encourage People Who "Don't Deserve It"
Why We Should Encourage People Who "Don't Deserve It"
Hi friends! Long time no talk! I have been away from my blog for nearly two weeks and I don't like that feeling one bit. This was the biggest break I have taken in two years, and even though my time away allowed me to have some wonderful memories with several of my very best friends, I still missed the blogging world a lot. It feels good to be back. Being with my friends always reminds me of how blessed I am and how many good gifts the Lord has given me. They remind me of all the years my mom spent praying for me to have good friends, and how many fun times my friends and I have shared throughout the years. But after hanging out with good friends for a while, it can be really easy to become frustrated with people who aren't exactly my cup of tea. It's easy to compare them and wish they were like so-and-so, and it's so much easier to treat my best friends with love and encouragement than it is for me to treat someone who drives me nuts with the same sort of affection. We all have people we don't like, or who drive us absolutely bonkers. And it's easy to push them aside and not give them the time of day. And when we aren't a fan of their personality or character, it makes sense that we wouldn't naturally shower them with as much love and encouragement. However, if I'm honest, I believe that we should be encouraging to everyone, as much as possible- not just to those who we like. It may be difficult, and it probably won't be fun, but encouraging people who "don't deserve it" is part of being a follower of Jesus. Encouraging others on their journey is not something we should pick and choose. Keep reading to learn why. We never know what's going on in a person's life. We don't feel what they feel and we don't see through their eyes. And even if that person is over-dramatic and is playing up their struggles, there's still a reason they are like that. Even the fact that they feel the need to seek out so much attention has a deeper route. Either way, encouraging others can help lift them up in a way they've never experienced, and it may help them towards overcoming their struggles- whatever they may be. Have you ever known people who seem shocked when you show them the least bit of kindness? I've encountered multiple fast food workers who told me they were surprised by me simply because I smiled at them and asked them how they were doing. It's sad, but oh-so-true that many people don't receive much encouragement throughout their lives. They aren't complimented, they aren't challenged to do great things with their lives, and they aren't told that they matter. 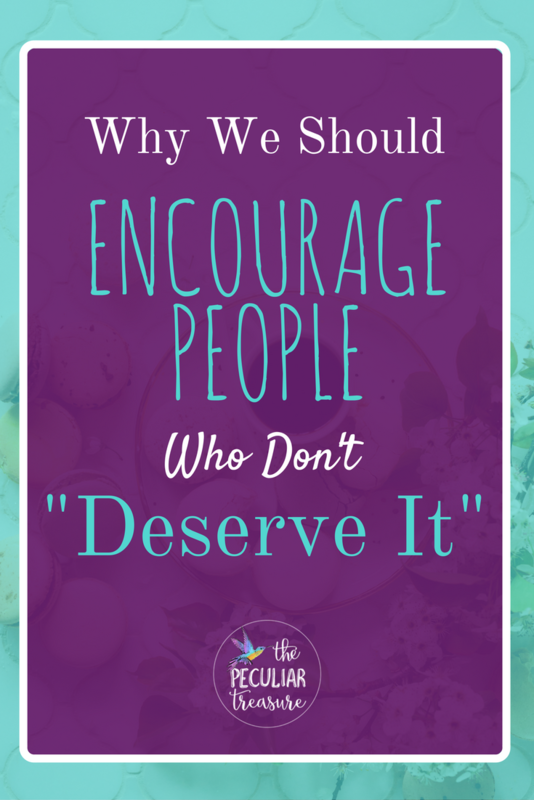 So guess what: That person who drives us nuts, that person who treats us poorly, and that person with the terrible attitude- they may be literally starved for encouragement. And guess what else: you and I could be the person in their life who gives them the encouragement they've been longing for. Whether we like it or not, you and I don't get to decide whose worthy-God does. And when God sees us, He sees people in need of love, hope, and encouragement. As Christians, we are to be God's hands and feet, so if He sees people in need of love and encouragement, then we should be loving on people and encouraging them. People aren't worthy based on what we think about them- God determines their worth, and God determines how people should be treated. And guess what: God says to love them. God says to encourage them. And God says that it really doesn't matter if they are annoying and it really doesn't matter whether we feel they "deserve it" or not. So today, tomorrow, and everyday, remember that we are called to encourage others. It doesn't have to be anything grand. We all have different talents, abilities, and personalities and we aren't all equally gifted at being encouraging. But we are all still able to encourage others in small ways, no matter who the person is. So whether it's your favorite person in the world, your least favorite, or someone in the middle, let's remember that everyone could use a little encouragement, and we don't determine who "deserves it". Do you struggle to encourage others? 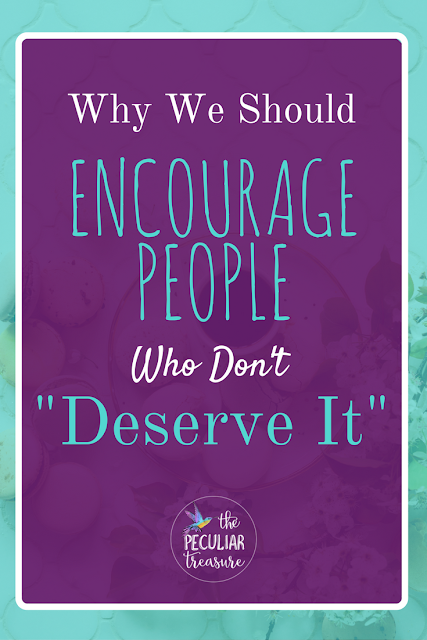 Did you find yourself feeling inadequate to encourage others as you read through this post? I believe that anyone can be an encouraging person- it just takes work. 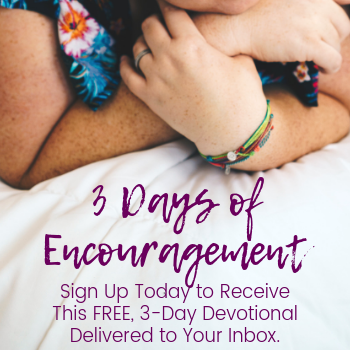 So if you want to learn how to be more encouraging (or you need to be encouraged yourself), why not sign up for my free, three day email devotional? No spam, no constant heckling. 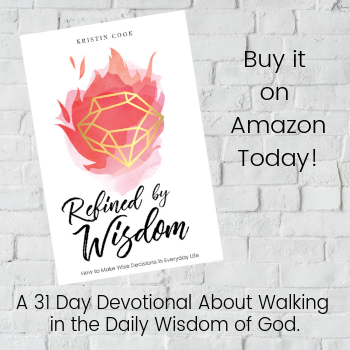 Just a free devotional and a weekly newsletter with even more encouragement. YES. 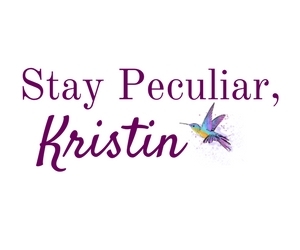 Love that you never shy away from topics like these, Kristin! 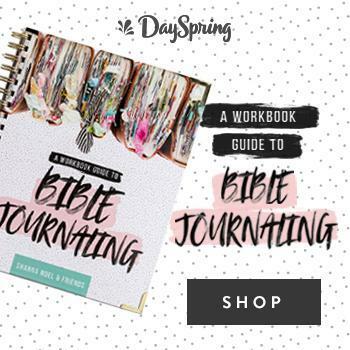 You have the perfect way of writing about it all, too. Aww, thanks Summer! I appreciate that! It means a lot! This is spot on. Kudos for tackling the hard issues! Thank you, Amanda! I am glad you enjoyed it! This is so beautifully put. I also think that making an effort to encourage those were not as connected to (or even turned off by!) is the heart of nonjudgmental living. This is a sweet post. I am not at all a Christian but I believe what you have written here is important for anybody of any faith to understand and do. I have definitely been that person to go days (or longer) with no encouragement, to feel worthless and excluded. I try to treat others with compassion, though sometimes my anger at how poorly my life has gone gets the better of me. Thank you for your thoughtful comment, Elizabeth! I am sorry that life has been tough for you. I hate to hear that :( . I am, however, thankful that you try to treat people with compassion, despite that fact. I hope life gets better! Thank you for reading! I agree with all of your points. Reading this made me think of the verse in 1 Thessalonians 5:11, 'Therefore encourage one another and build each other up, just as in fact you are doing'. This is so true. You NEVER know what someone might be going through! I always try to practice compassion, and I'm trying to teach my daughter it's one of the most important things to be. 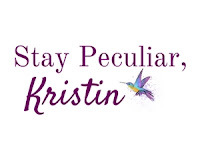 I love this post Kristin. I absolutely agree with all points. Whenever I read anything like this it always takes me back to the months after my dad died. I lived abroad and several months after, my sisters brought my mum out to visit. It took every ounce of strength to say goodbye at the airport on the day they all left. I don't remember exactly what happened but there was an issue at the car park ticket machine and a girl in her late teens was rude to me, I ended up yelling at her. This is something I would never normally do. But it was just all too much on that day. So whenever I feel someone else is behaving badly, I remind myself "I do not know what they're dealing with." It was a hard lesson for me to learn but I'm pleased I'm now able to do this. I first read the quote, "Be kind, for everyone you meet is fighting a hard battle" when I was a teenager, and it's had an enormous impact on how I treat people ever since. When you're young, you don't realize that other people have had struggles of equal weight--so in the same way as you justify your own actions, you have to assume the best of other people, too. Obviously, this has its limits--some people just treat other people horribly, so you should ultimately stop trying to make the best of those relationships because you deserve better. But in general, everyone that we meet is trying their best, and we have to remember that when they frustrate us! This was such a beautifully written message. I do know exactly what you're talking about and although it can be easy to not show any encouragement, these Reminders are so important. We have no idea what someone is going through and we might be the only person giving encouragement in their life! Beautiful! This came at SUCH perfect timing for me. There are several people in my life that fit this bill. Who seem to constantly play up their struggles and seek out attention and even sit smugly across a room and just milk some sort of 'mean girl' vibe. They don't intimidate me or make me jealous because I'm just at a point in my life that I feel completely secure in who I am and my identity, but they rub me the wrong way and cause me to never want to pursue even a conversation with them. This post just reaffirms that I'm called as a Christian to show them compassion and encouragement, regardless of the irritated vibes they give me. Thank you for encouraging ME! Joy, thank you so, so, so much for your thoughtful comment! It's comments like these that make me glad I am a blogger. I TOTALLY get it. I've been so frustrated seeing people milk the "poor me" card over and over again, but 1.) I am not perfect and I can milk that card sometimes too, and 2.) as a Christian, I am called to love them. Keep on keeping on. I am so glad this encouraged you!